Communication over distance has come a long way since the first days of the telephone. Current technology allows us to communicate with people anywhere on the planet thanks to the Internet. But what is the tech that allows us this great privilege? Undoubtedly, you’ve heard of fiber optics, but what exactly are they? And how do they work? 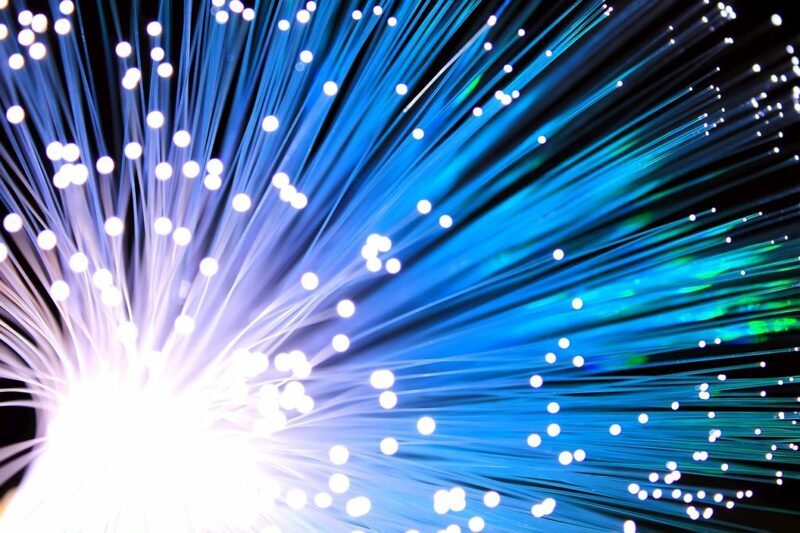 In this article, we’re going to break down the what, why, and how of fiber optics. Where Did Fiber Optics Come From? In the UK in the late 1960s, Dr. Charles Kuen-Kao and a collaborator played a critical role in determining that fiber optic cables of that era were inadequate due to impurities in their glass. These early fiber optic cables only carried telephone and television signals through light pulses for about 65 feet before almost all the light dissipated. But by 1970, communication researchers had created an ultrapure optical fiber more than 2640 feet long. Fiber optics, which resemble fishing line, later allowed the production of broadband communications, biomedical informatics and innumerable other digital applications. By 2009, when Dr. Kao shared the Nobel Prize in Physics, it was estimated that the number of fiber optics cables in use worldwide, if placed end to end, would constitute a fiber more than 600 million miles in length. This groundbreaking work has allowed society to communicate more quickly, more efficiently, and with better transmission capabilities. But most of us don’t even know how these cables work in real life. Fiber optics work by sending coded information through a beam of light down a glass or plastic pipe. In the 1960s, engineers used them to transmit telephone calls at the speed of light. Each cable contains incredibly thin strands of glass or plastic: optical fibers. Each cable can be made up of as few as two strands or as many as several hundred. The strands, each only one-tenth the width of a human hair, are capable of transmitting around 25,000 telephone calls each. So, a cable made of hundreds of strands has the capacity to carry millions of calls. The light bounces back and forth off the walls of the cable pipe. Each photon (light particle) bounces down the pipe like a bobsled on an ice track. While you might expect the light to leak through the edges of a glass pipe, the light is directed at shallow angles (no more than 42 degrees), which reflects it back into the pipe. This is known as total internal reflection. The cable also keeps light in the pipe. The core of the cable is the bit the light travels through. A second layer of glass, called cladding, is wrapped around the outside of the core. The cladding keeps the light signals inside the core. Now, not all fiber optic cables are the same. There are several modes that help the light travel in different ways. What Are the Different Types Of Fiber Optic Cables? Modes are just the path that a light beam tracks down the fiber. One mode goes straight down the middle. Another may bounce down the fiber at narrow angles. Other modes bounce down the fiber at varying angles. The simplest type of fiber is the single-mode. The very thin core (5-10 microns) sends signals straight down the middle without bouncing off the cladding. Internet, cable TV, and telephone signals are most often transmitted by single-mode fibers, wrapped together into a huge bundle. These cables can transmit information over 60 miles. Then we have the multi-mode cable. Every fiber in the multi-mode cable is nearly 10 times bigger than those in single-mode cables. This allows light beams to travel through the core on different paths—multiple modes. The shortcoming of multi-mode fiber optic cables is that they can only send information over short distances. They are primarily used to link computer networks. Glass fibers are amazingly tough, considering that glass is a fragile material. Most optical fibers are created by pulling a glass rod, heated to the melting point, with a diameter of a few centimeters and roughly 1 m length, into a thin fiber with a diameter of 125 micrometers and a length of several kilometers. These are just a few example of how fiber optics are made and the things we can make out of them for use in many fields. How Do Fiber Optics Compare to Electric Cables? fibers. Alignment must be precise and optimal cleanliness is required. Glass fibers must remain relatively straight to prevent losses or breakage. Taken on the whole, it’s clear that the advantages outweigh the disadvantages, making fiber optics a remarkable innovation. We don’t realize just how ubiquitous fiber-optic cables have become. The laser-powered signals carried on these cables are buried under the pavement and even under the ocean floor. The technologies that use these cables are as varied as light signals themselves. 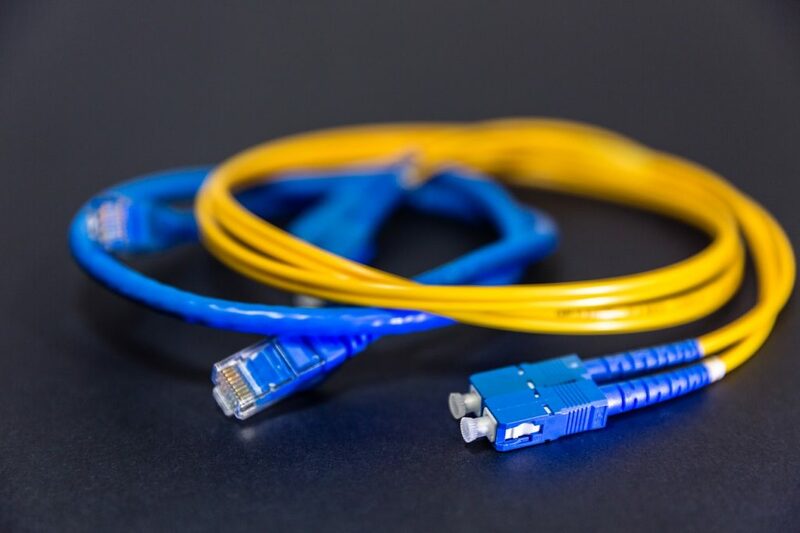 Computers were once connected over long distances by telephone lines or Ethernet cables, but fiber cables have replaced those options because networking computers with fiber optics is affordable, reliable, secure, and offers higher capacity. While early television and radio signals used electromagnetic waves to transmit signals, cable TV companies transitioned forward using coaxial cables, and those carried a handful of analog television signals. As cable consumer numbers grew and the television networks started to offer more channels and programs, cable operators switched from coaxial cables to optical fibers, from analog to digital broadcasting. Medical devices that help doctors look inside human bodies without cutting them open were the first application of fiber optics more than 50 years ago. Now, gastroscopes and arthroscopes are commonplace in medicine, and fiber optics continue to become an important component in new medical scanning and diagnosis devices. A key advantage in many instances is the world’s hi-tech military forces connected by fiber optics. Fiber-optic cables are cheap, lightweight, high-capacity, thin, robust against attack, and very secure. As such, they are a seamless way to link military bases with missile launch sites and radar tracking stations. They don’t give off electromagnetic radiation, easily detectable by an enemy, and they’re sturdy when targeted with electromagnetic interference. 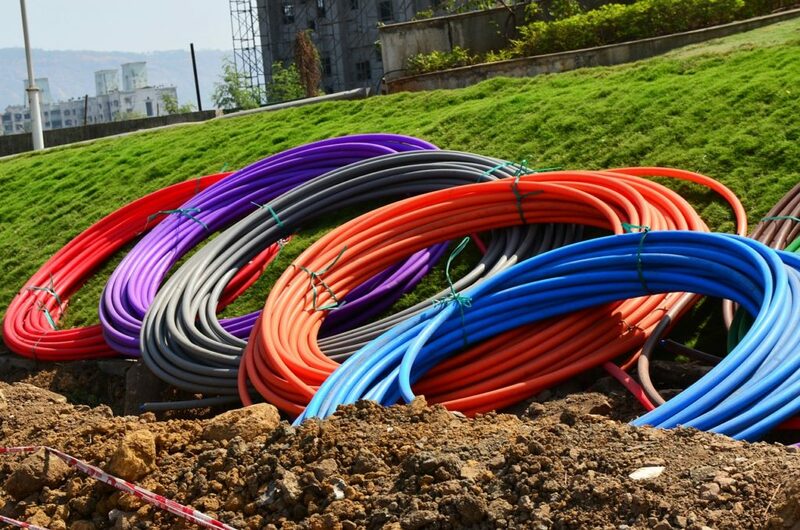 The relatively light weight of fiber cables compared to traditional wires is another benefit. Tanks, military airplanes, and helicopters have begun switching from metal cables to fiber-optic cables. 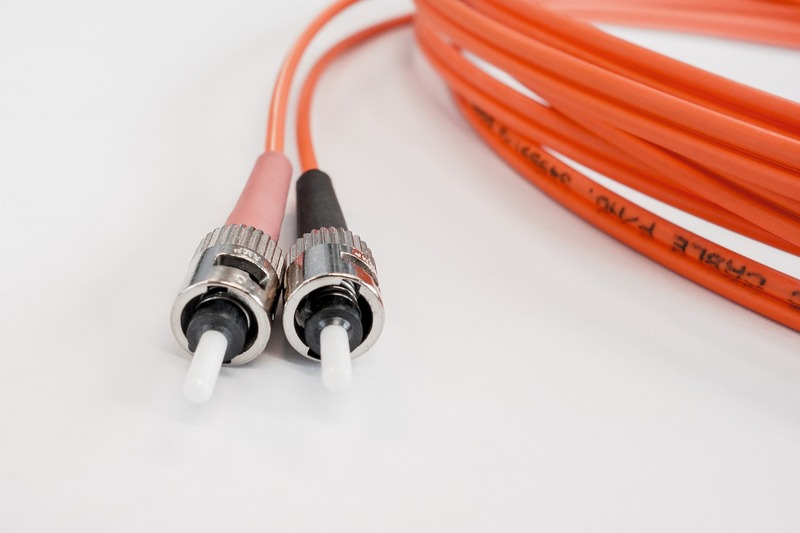 Saving weight and costs is a great benefit, but fiber optics also improve reliability – their very nature makes them unsusceptible to an EM pulse or other jamming devices. Fiber optics are revolutionizing the way people communicate, treat medical conditions, and upgrade military machines. Though fiber optics have been around for decades, our technology is just now catching up to using them to their fullest potential. In the near future, scientists and researchers will continue to find ways to incorporate fiber optics into our lives. With their ability to improve communication and devices, there is no doubt that fiber optics will continue to evolve and allow humans to continue improving our communication, medicine, and military.